At SunnySmiles we have relied on computerized tomography scans (CT), for many years. 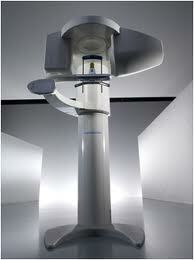 At our London city scan dental practice we are referred patients for CT scan for various reasons like implants. CT scans are an X-ray procedure that uses many different X-ray images with the help of computers to generate cross-sectional or even 3D views of internal organs and structures within the body. We rely on 3D imaging techniques and CT scans to provide us with a detailed view of the mouth and skull. The advantage that 3D imaging holds over regular dental x-rays is that the bone structure, bone density, tissues and nerves can be viewed clearly.